Our hand loop leads are ideal for close control over taller dogs. 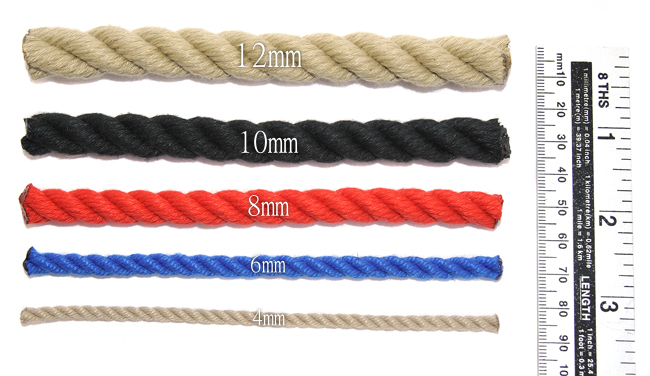 These hand loop leads are hand spliced from top quality marine rope. The rope is light, durable and washable. We do not use any metal crimps, or simply melt the rope together. We provide a 1 year fair wear and tear guarantee. The hand loop leads come in an array of colours, lengths and diameters to suit all needs. Select the size and colour of the hand loop lead from the drop down boxes below. You can also upgrade the lead to include brass fittings by ticking the box below. This hand loop lead works very well in conjunction with our rope couples to form a lead for controlling two dogs at a time. Why not check out our range of rope collars by clicking here. this product is very sturdy and i have two large breed dogs that i walk on this and find that it withstands the strain when they try to pull in different directions, well done. I am very happy with the item I purchased and with the professional manner in which my order was dealt with. I will certainly revisit the web site when purchasing other items for my dog. Exactly what was advertised and exactly what I needed. Good quality,recommend the brass fittings much slicker operation! Brilliant! Top quality as always and is the perfect accompaniment for my big Labradoodle's harness. Really well made lead. I use it with a canine collar to have good control over my Rotty when in locations with many distractions. The lead is just the right length, and gives a sense of confidence when in crowds or other situations such as busy roads etc. the brass fittings finish it off nicely.